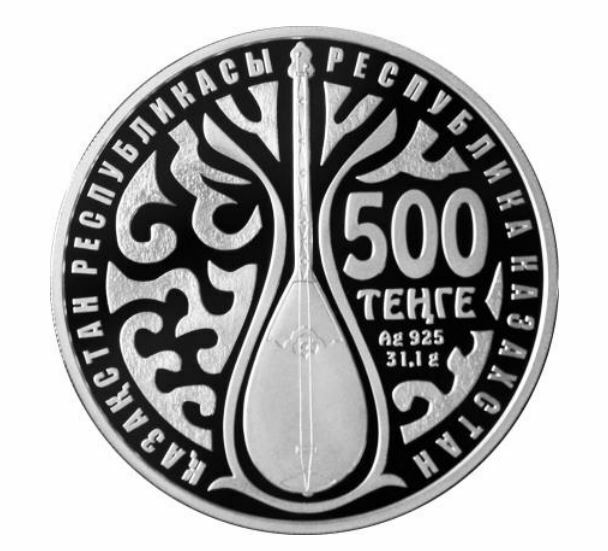 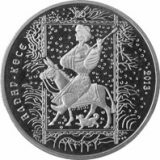 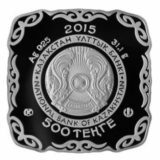 Obverse: the coat of arms of the Republic of Kazakhstan in a frame of pressed inscriptions «NATIONAL BANK OF KAZAKHSTAN» in Kazakh and Russian; inscription «500 TENGE» at lower part, means face value, trade mark and logo of National Bank of Republic of Kazakhstan; number «2017» means year of coinage; inscription «Ag 925 31,1g» means metal, standard of coinage and weight; elements of national ornament along the circumference. 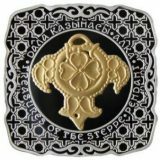 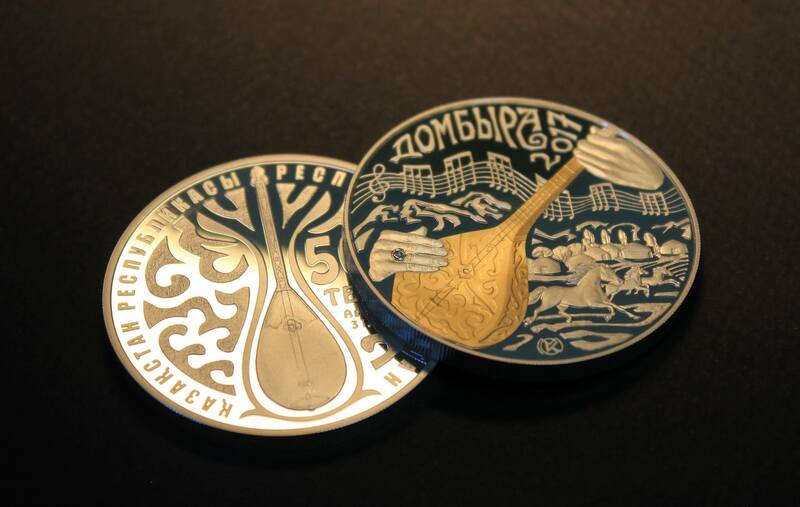 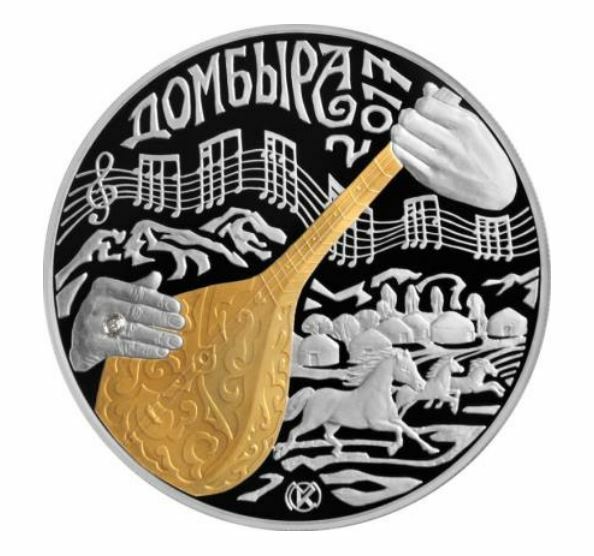 Reverse: a gilded image of a dombra – most popular Kazakh national musical instrument – with diamond insert, name of the coin«DOMBRA». Max mintage: 3 000 (actually only 1000 coins were issued, about 250 pcs were available for public sale).